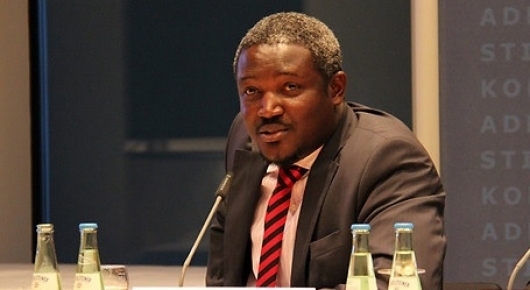 Deputy Sports Minister of Ghana, Hon. Perry Okudzeto has disclosed that among the 24 teams set for the 2019 Africa Cup of Nations tournament in Egypt, Ghana is in for the ultimate. The leader of delegations to the AFCON draw in Cairo, Egypt on Friday, Hon. Perry said all the other teams are in contention for the trophy and cannot be underdogs, so is Ghana, the four times champions. Though it's been difficult in the past to clinch the trophy since 1982, despite making it to the finals on two occasions in recent times. "Our expectations we all know the AFCON now comprise of 24 teams, every team has come to lift the trophy so I don't think there are underdogs, so we from Ghana are also in for the trophy", he told Kumasi-based radio station Fox FM. He added that the Government of Ghana has shown eagerness to support the team financially to inspire the team to win the trophy in Egypt. "Government is ready about money issues we have management committee and we have been meeting to get the road map, (Sports) Ministry is also doing its best so I can say for sure we are on course to lift the flag of Ghana". Ghana have been seeded in pot 2 of the draw, with host Egypt, arch-rivals Nigeria and Senegal placed in pot 1. This means coach Kwesi Appiah's side are likely to face any of the aforementioned pot 1 teams as well as Morocco, Cameroon or Tunisia who are also in Pot 1.